This entry was posted in Racing on May 17, 2015 by Steve Tilford. it has been raining like crazy in Kansas recently. Yesterday, it rained hard for close to 7 hours in the evening. Luckily, I’d already ridden 3 hours in the heat and humidity. 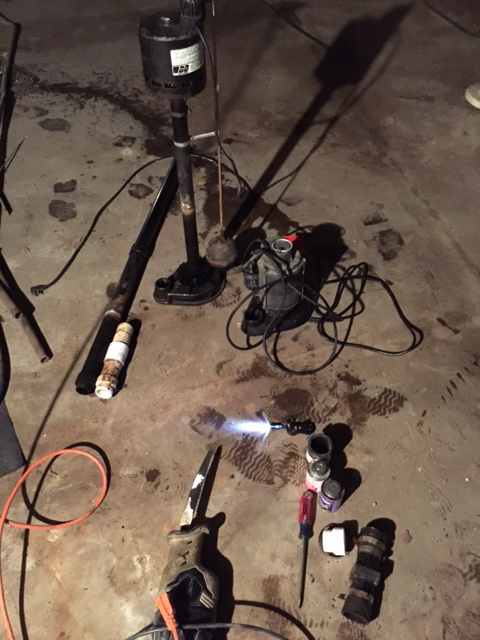 Last night I spent a few hours, way past midnight, messin’ with sump pumps. I had to move a submersible sump pump to a place with a pedestal pump. Working with PVC is so easy. But, it kind of hurt me. Today, Brian Jensen is riding over here to meet us at 11 am. He is doing 150 miles, I guess. We’ll see. It is super windy, 100% humidity and it’s gonna be in the mid 80s’. He’s doing his last hard ride before the Dirty Kanza 200. I’m just tagging along. A couple other guys that are doing the DK are coming too. It should be good for their endurance. 200 miles on gravel is beyond cycling endurance. Okay, have to get ready. I’m gonna need some luck today not to cramp. Boo on that. when you guys ride that far, where do you get your fluids? you stop at stores, or have a car along side you handing you bottles? i dont ride far often , but when i do, i put bottles on the truck and ride by and grab them..